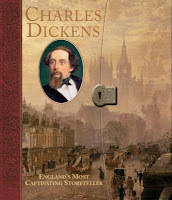 Hamden Library Blog: Charles Dickens - 200th Birthday! Charles Dickens was born 200 years ago, on Feb. 7, 1812.
click on these links to our online catalog to see what we have to offer on Charles Dickens. The Museum of London has created a free ipad and iphone app which takes users on a journey through the darker side of Charles Dickens' London.